Limited time offer! We are convinced our owner has gone off the rails, but we have put together a custom build featuring a Troy Alpha Handguard and a Wilson Arms Barrel. These will not last long, so do not delay. This Build Includes A Wilson Arms 16" 5.56 NATO Barrel. 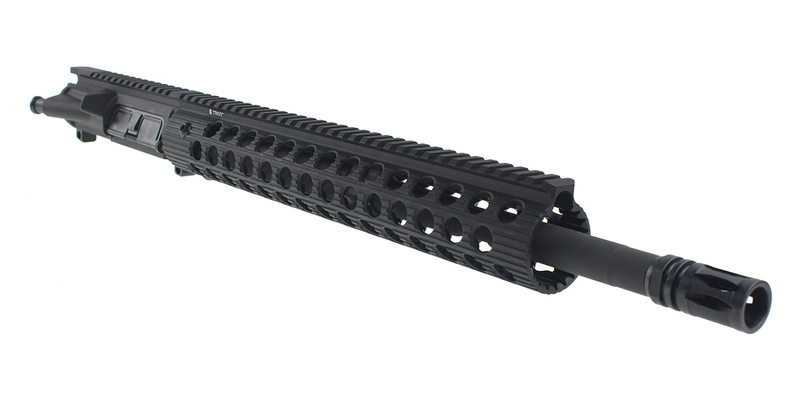 This Barrel Is Made From 4150 CMV And Has A Carbine Length Gas System Along With A 1-9 Twist Rate. 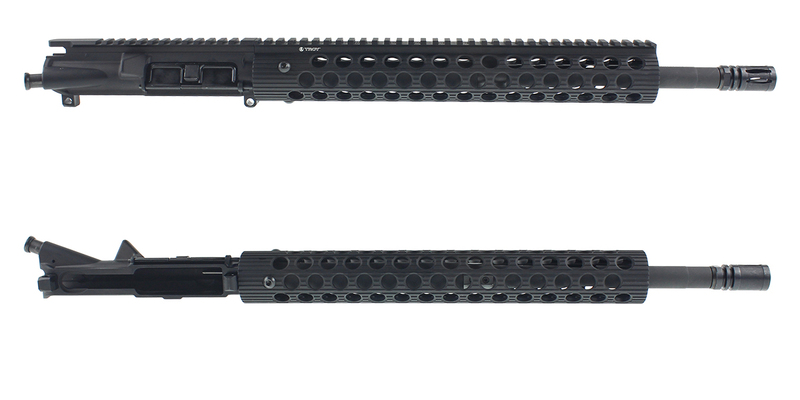 This Build Includes A Troy Industries 13" Alpha Battle Rail. This Rail Has An MMC Armory Logo Engraved On One Side Of The Rail And The Troy Marking On The Other. This Handguard Mounts Directly Onto The Standard Factory AR-15 Barrel Nut. Large Circle Ports Help Cool Down And Disperse The Heat From Shooting, Allowing It To Run Cooler Than Other Rail Systems. The Mil-Spec A2 Flash Hider "Half Bird Cage" From Omega MFG. This Is The Best Working Flash Hider For The Money. So, If It Ain't Broke Don't Fix It Is The Old Motto. This Government Spec Flash Hider Is Designed To Disperse Gases & Direct The Flash Away From The Shooter’s Line Of Sight As Well As Help Manage Recoil.